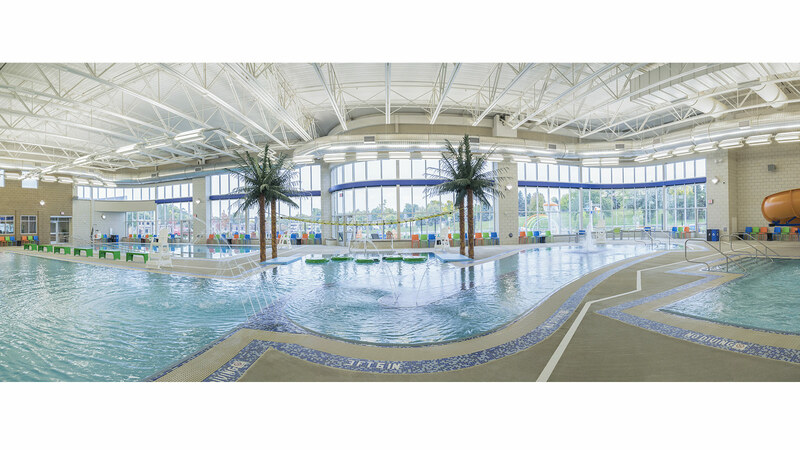 TSP and specialty consultants from Counsilman-Hunsaker teamed to plan the first indoor pool complex owned and operated by the state’s largest city. 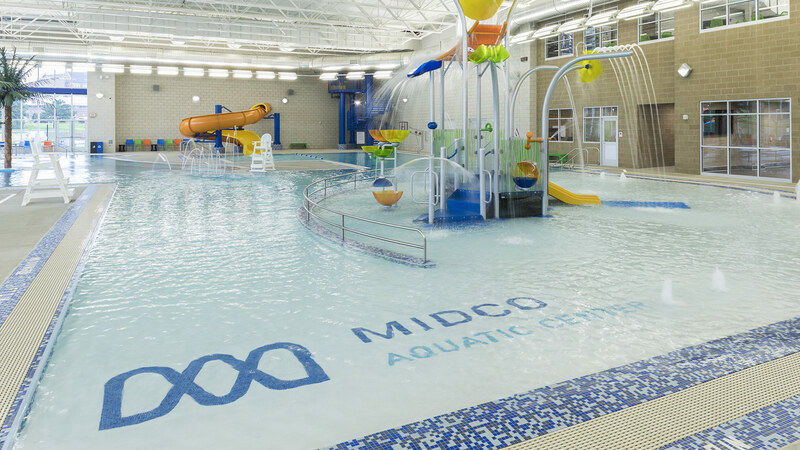 Midco Aquatic Center replaced the existing outdoor pool at Spellerberg Park, which is centrally located to serve the entire community. The complex is built into the park’s hillside to minimize its impact on outdoor spaces. 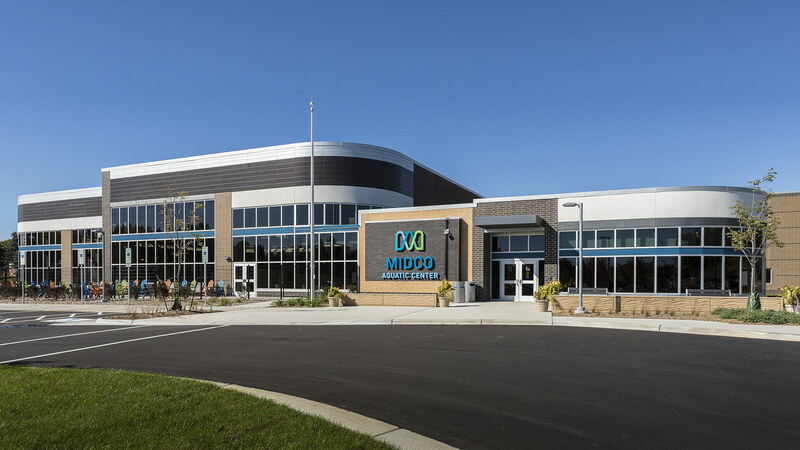 Local voters supported the City’s vision by passing a ballot question in April 2014, and construction began in April 2015. 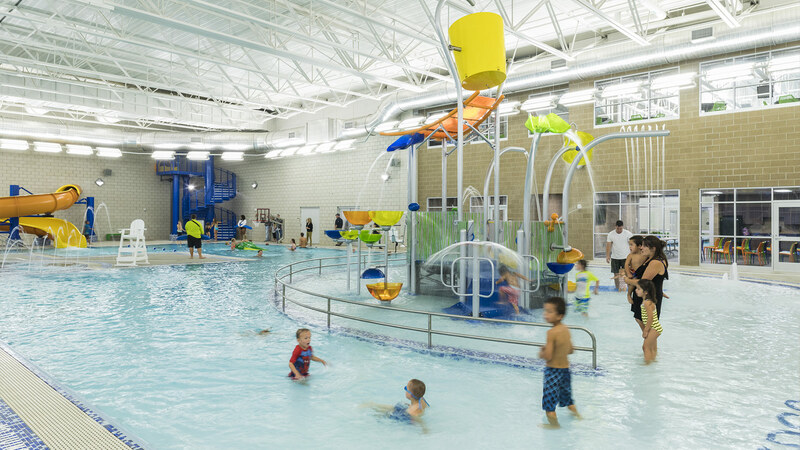 The project addresses several recommendations from Sioux Falls’ city-wide Aquatic Facilities Master Plan, completed in 2013 by Counsilman-Hunsaker. That work revealed several traditional pools in the City to be obsolete both functionally and physically. 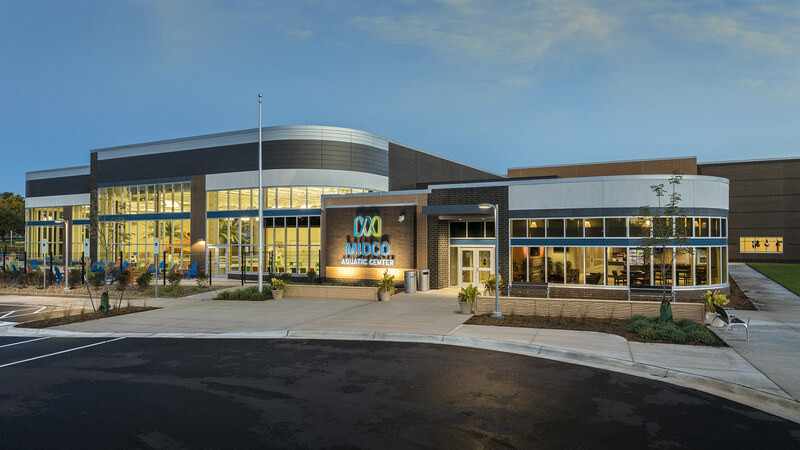 The plan identified a community need for indoor water access that offers year-round programming and swimming instruction. 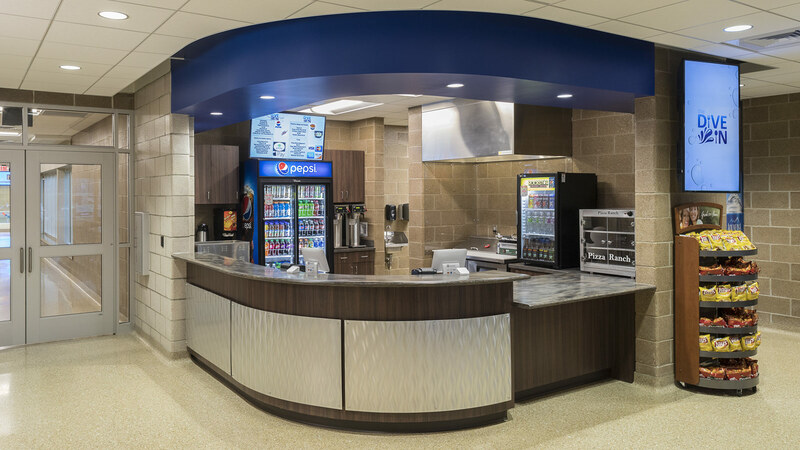 The indoor facility includes several elements grouped within a common area. 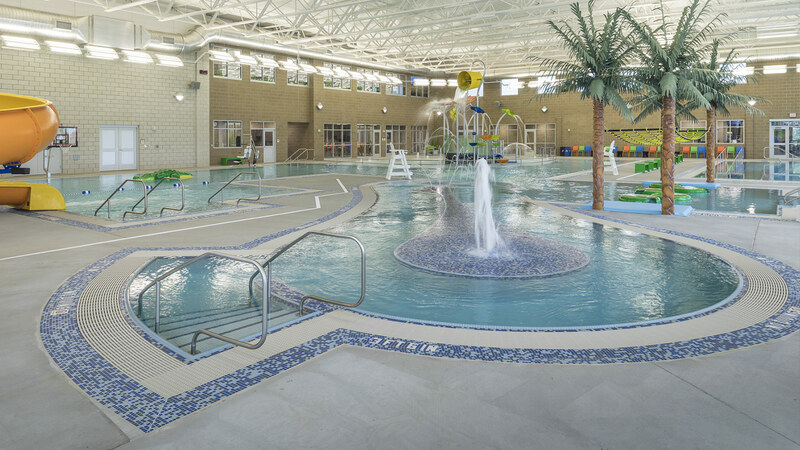 The 5,739 sf recreational pool features a zero-depth entrance, a 15-foot water slide, adjoining lap lanes, a current channel, multiple water features, and a massive play structure for young children. 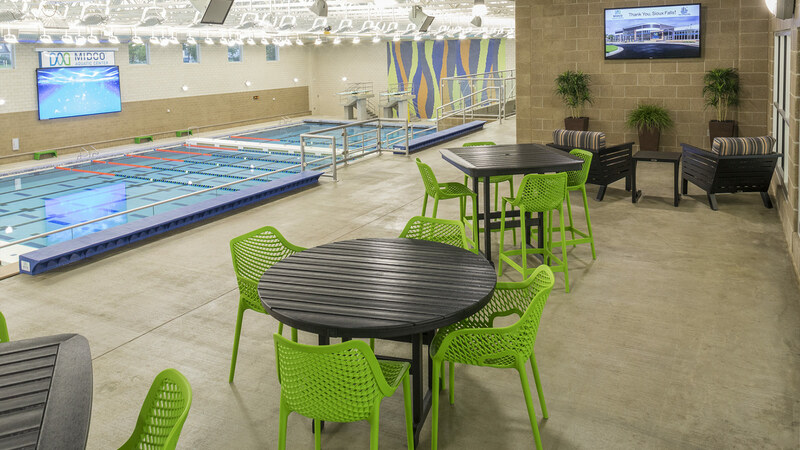 Based on community feedback, TSP designers increased the integrated warm-water pool to a depth of 5 feet. This allows greater use for water therapy and by rehabilitation patients from area health systems. 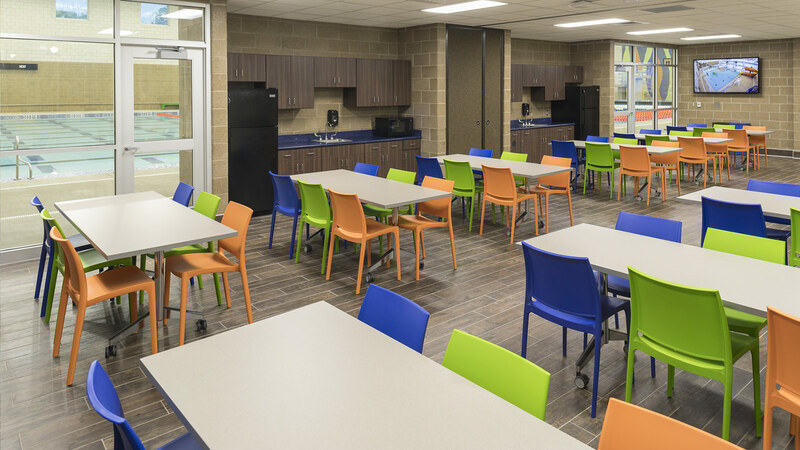 TSP provided Engineering expertise and full Architecture services, including Interior Design and an FF&E package that ties all the details together. 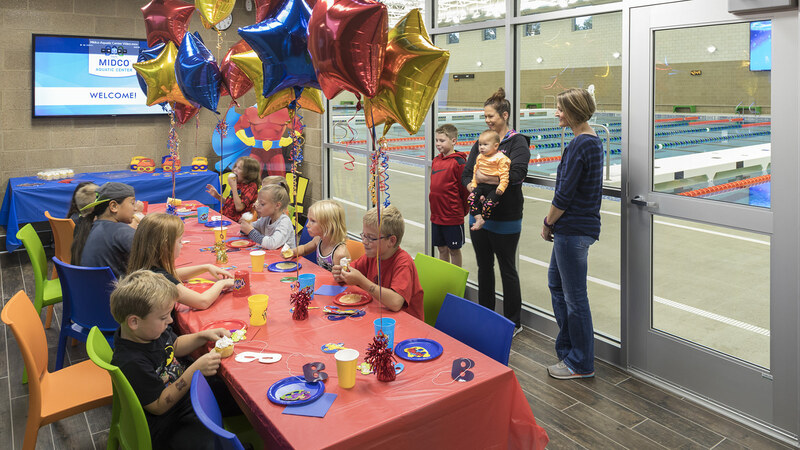 A separate room houses the 50-meter pool, which is equipped to host competitive meets organized by local swim clubs and universities alike. 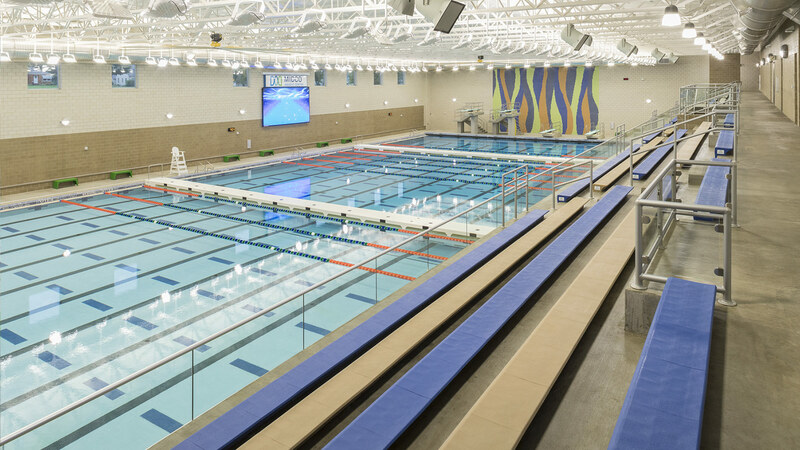 A mezzanine level can seat nearly 550 spectators, giving them an overhead view of the 12,932 sf pool. 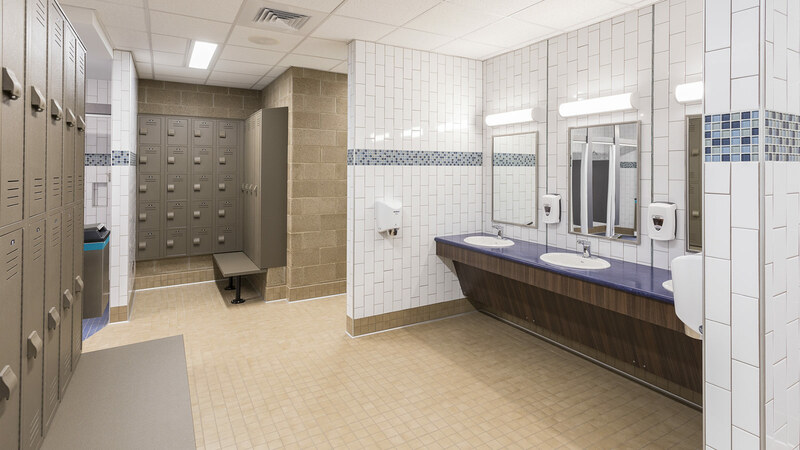 Offices, a lifeguard room, party and multipurpose rooms, ADA-compliant family changing rooms, and standard locker rooms are accessible from both the recreation and competition areas. 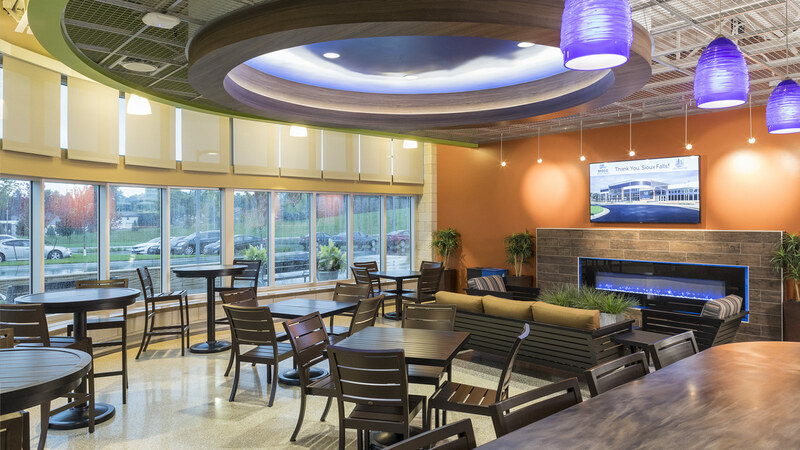 In the lobby, guests can grab a bite at the Dive In or lounge in front of an in-wall fireplace―a perfect spot to warm up between trips down the park’s sledding hill. Outside, a sun deck with splash pad gives visitors a quick way to cool off on hot days. The park itself saw updates through a separate, but related project. Landscape Architects from Confluence developed a comprehensive plan that includes planting nearly 80 trees. The park also received new courts for tennis, basketball, and sand volleyball―plus a new picnic shelter, playground equipment, and updated restroom facilities. The improvements honor the park’s history as a community gathering place and ensure its functionality for generations to come.